Athletes have an amazing platform to impact social good. The popularity of today’s athletes combined with direct access to fans through social media has created an environment where athletes can achieve exponentially greater impact for their foundations and for the organizations they represent. 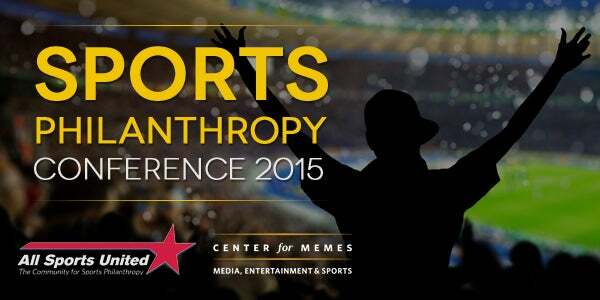 The 2015 “Sports With a Purpose” conference brings together leaders and influencers in the sports philanthropy community to share best practices, latest trends, and opportunities to create more effective philanthropy work. This event is designed to provide the resources, education, and network for athletes, executives, and companies to be more efficient and sustainable in their philanthropic goals.